It's that time of the month again! ...oh no, not that time, but empty product time. Wooooosh...It's the end of May already. This month I have started loads of new items that I'm super excited about, but of course I've yet to finish so many other products. So I only have a few empties for now. Is there anyone out there who doesn't love this stuff? Zingy, limey, fresh and a wonderful consistency. I love this body wash. It's certainly one of my top bathtime treats. I've already declared my love for dry shampoo in previous posts (link) but Batiste is by far my favourite dry shampoo brand. It saves me washing my hair too often and therefore saves my bright red hair colour from washing out too quickly. I rarely find scents that I like but this Cherry scent is light and fresh. I've already bought more. I rarely get on with primers. I find most actually do the opposite than they should - they make my foundation slide off my face. This NYX primer has got to be one of the few primers I would repurchase. A bargain price of £11.00 for a primer that has latest me at least 9 months means I'll keep going back for this one. I bought this on a whim and to be honest, it's not deigned for someone like myself. I have BRIGHT red/ pink hair. This is designed for someone with bleached blonde/ platinum locks who are looking for a hint of pink. I'd heard mixed reports about Bleach London so when I saw this rose conditioner reduced to £1 in my local Boots store (still on 3 for 2 too ) I just couldn't resist trying it. I ignored the colour, it was never going to improve my darker pink hair but I used this mainly for conditioning reasons and I have to say I wasn't a fan. The formula just didn't work for me at all. It seemed to just sit on my hair rather than actually penetrate it. If I'd paid full price for it, I would've been annoyed. Perhaps if you are looking for a hint of pink in your blonde hair, it may be good but I honestly don't think there is enough of a pigment in the product to make any kind of colour change at all.. I like Liz Earle, I do. But it's expensive. A girls gotta sometimes keep the purse strings tight. So I picked up the Superdrug dupe for a quarter of the price. This cleanser comes with the cloth and you use it in the exact same way as it's more expensive counterpart but Liz Earle wins. I find this Superdrug version perfect for my skin but it has quite a masculine scent that I wasn't a fan of. I also found that as I got close to the end of my tube, I couldn't get a lot of product out, even though I know there is some hiding in there. On this occasion, I think I'd have to flex my purse strings again and go back to either the Liz Earle or Boots No 7 version. The product that changed the world for me! Big claim, eh?! No, but really. I had major 90's brows. You know the type, skinny, sparse and embarrassing. OK, maybe I should thank the ladies from the Benefit Brow Bar in Belfast first. My brows have now been trained back into an acceptable shape with an actual arch. A brow arch! I'm terrible at filling in my brows with powder though, I always go too dark/ thick so the Gimme Brow has been a saviour. At £18.50, it's a pricey wee piece for all it does but I tried dupes and cheaper versions and kept coming back to the Gimme Brow. This one lasted me around 10 months and I got a new one FREE with my latest brow appointment due to the charity campaign currently running (details here). A highly recommended item, especially if you are anything like me and have naturally fair brows. 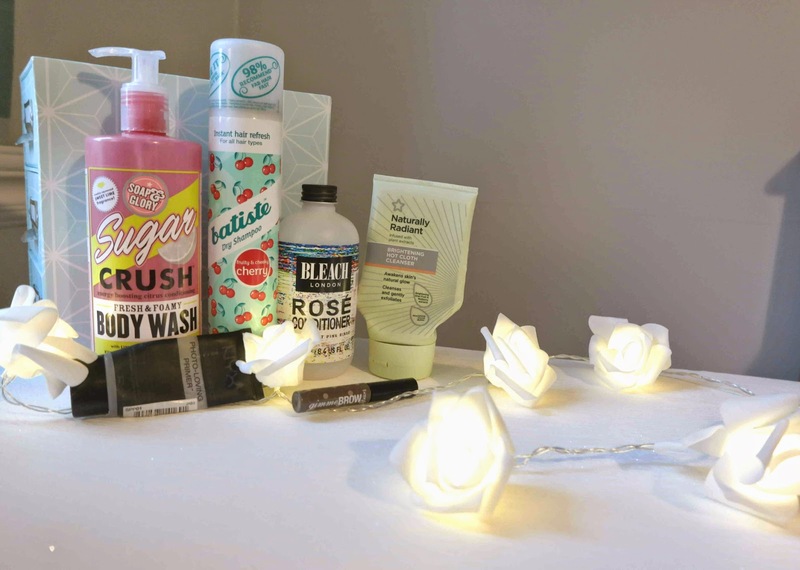 Have you tried any of my empties? Sugar Crush is the most amazing scent! I've tried a similar hot cloth cleanser from Superdrug, and it was really good - a great alternative to Liz Earle! I use Gimme Brow every day, love it!